Dr. Harman has more than 22 years of experience as a chief executive officer and biotechnology entrepreneur in four novel businesses, all financial successes. Dr. Harman is a veterinarian and statistician, and has overseen the completion of more than 1,000 contract research projects in his career for the development of veterinary and human biotechnology products. He has led the following companies: HTI Bio-Services, a contract research company; HTI Bio-Products, a biological reagent and antibody production company; and Animal Health Ventures, a veterinary product licensing company. 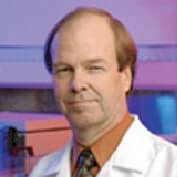 Dr. Wrightson has more than 20 years of experience in biochemistry, molecular biology, and molecular pathology. Her expertise lies in scale-up of research technologies into high-throughput services, implementation of regulatory compliance, project management, and product development. 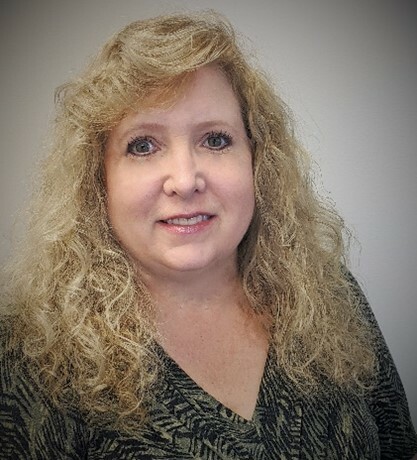 Dr. Wrightson has experience in research and development, information systems and process development, lean systems analysis and implementation, intellectual property, and contract management. Mr. Dale has extensive business and managerial experience with multiple start-up biotech companies, and was co-founder of HTI Bio-Products, a biological reagent and antibody company. His expertise covers start-up and scale-up of operations, sales and marketing, data systems, and production. Mr. Dale and Dr. Harman have been partners for numerous years in biotechnology and veterinary service businesses. Erwin F. Workman, Jr., PhD, has over 26 years of successful diagnostic and scientific development experience with IDEXX Laboratories, Inc. (IDXX) and Abbott Laboratories, Inc. (ABT). Dr. Workman was a key participant in the creation of the world’s largest veterinary diagnostic company, IDEXX Laboratories, Inc. Dr. Workman helped lead IDEXX Laboratories, Inc. through startup, new product development, initial profitability, global expansion, and a successful IPO. Prior to joining IDEXX Laboratories, Inc. Dr. Workman oversaw and directed the Research and Development of the Hepatitis and AIDS business unit of Abbott Laboratories, Inc. Dr. Workman’s position on the Board of Directors for VetStem will serve the purpose of leading strategic planning and execution for current and future services and products. Linda F. Powers, JD sits on the board of directors for seven biotech companies, and is Chair of the Maryland Stem Cell Research Commission which administers the state’s stem cell funding program. She is on the Advisory Board of U.S. Department of Commerce NIST Advanced Technology Program, a Board Member of the Trudeau Institute, Moffitt Technology Corporation, and NorthWest Biotherapeutics. Ms. Powers is Co-Founder of Toucan Management, LLC. and is experienced in venture capital investing and joint ventures. Michael J. McCloskey, DVM, obtained his Doctorate of Veterinary Medicine with post-doctoral study in Dairy Production Medicine. He received the Alumni Achievement Award from the University of California at Davis, School of Veterinary Medicine, and went on to Co-Found and serves as CEO of Select Milk Producers. Dr. McCloskey founded and serves as the acting Chair of Southwest Cheese Company, and is Chairman of the Board for Fair Oaks Farms. He is a Partner and General Manager of Fair Oaks Dairy Farms, and Member of Markle Initiative for America’s Economic Future in a Networked World. Dr. McCloskey brings multi-national agribusiness and patent experience to VetStem’s Board.